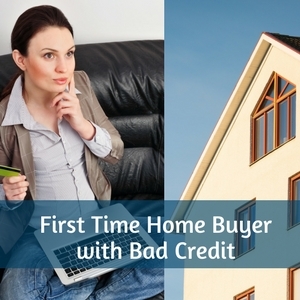 First Time Home Buyers with Bad Credit: What You Should Do First! You eagerly await the day that someone presses those metal house keys that signify home ownership into your hand, but it seems like a distant reality if you have bad credit. A lower than average credit score can seriously hinder your ability to purchase a home in the near future, particularly for a first time buyer. However, many individuals and families become frustrated with the wait and don’t realize that there are still options available for first time home buyers with bad credit. As long as you are willing to take action, a first time home buyer with bad credit can still purchase a home. 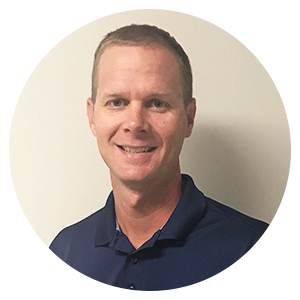 It may require other compensating factors that will make you more attractive to a prospective lender, but the possibility is definitely still there. Don’t lose heart when it comes to the dream of homeownership. All you need to do is know what options are available to you. We can help you find bad credit home loan options by state and by city! If you have poor credit, you need to know what steps you should take first to improve your status. Don’t become frustrated and stuck in your current predicament. You can be proactive by following some of these key steps to secure financing for your next home. The best thing you can do is be honest with your lender about your credit problems. While they can see the blemishes on your credit report, that doesn’t mean that they understand how those issues arose. Some families have extenuating circumstances that contributed to their low credit score. For example, you might have maxed out a credit card during a major illness that left you or your spouse out of work for a while. Lenders can sometimes make exceptions for these circumstances using manual underwriting. This will ultimately depend on the cause of your low credit score. If they aren’t able to make an exception based on the circumstances alone, your lender may be able to offer advice on what you can do next. They can let you know which compensating factors could work in your favor, as well as steps you can take to correct your credit. Sometimes, you might be able to correct your credit issues with little to no assistance from others. If you have blemishes on your credit report that need to be removed or resolved, this is a great time to start taking care of them. Removing miscommunications or old issues could give you a quick boost to your overall credit score. Resolving your entire credit issue will require a little bit more time. The best ways to get a higher credit score are to start paying bills on time and to lower your overall credit utilization. You might not see a major difference in your credit score within the first few months, but it will slowly start to make an impact on your score. When lenders issue financing for a new home, they are taking a risk that you might not be able to repay that loan. They can minimize their risk by making sure that borrowers have an excellent credit score and long employment history. However, they can also minimize their financial risk by requiring a higher down payment. Having more money as a down payment allows lenders to have a little more peace of mind because it does build up your equity quickly. A higher down payment gives lenders an opportunity to see that you can save responsibly, which might make them more apt to give you a loan in the first place. Keep in mind that this may extend your timeline to purchase a home due to the time it takes to scrape together a larger savings account. During this time, you can also work on actively improving your credit score so you can receive more favorable terms when you do finally secure financing. Your debt to income ratio plays a major role in determining your eligibility for a loan. Most lenders prefer your debt to income ratio to equal 43 percent or less. This means that your total debts, including the new mortgage and interest payments, should be equal to or less than your gross monthly income. When this ratio is lower, it gives you more expendable income for emergencies, savings, or potentially even making your mortgage payments on time. A low debt to income ratio can give lenders a little more security about issuing financing to you upfront. Consider paying down some of your other auto loans, student loan debts, or credit card bills in order to achieve a lower ratio. A steady source of employment can go a long toward making your lender feel more comfortable issuing financing for your next property. A long employment history means that you can obtain and keep a source of income, both of which make you more likely to fulfill your monthly mortgage obligation. When you jump from job to job without a stable source of income, your employment history sends up red flags to lenders. Try to prove a long employment history of at least two years in the same field or with the same company. Prepare to show your lender tax documents, pay stubs, and other documents that can verify your dates of employment. First Time Home Buyers with Bad Credit: What Mortgage Options Are Available? In addition to following some of the key steps for obtaining a mortgage, you should also know which programs you can utilize to obtain your financing. The federal government and private lenders often work together to make homeownership a reality for less-than-ideal candidates, particularly first time home buyers with bad credit. Familiarize yourself with some of these programs before you head to your local bank. FHA loans are backed in part by the Federal Housing Administration. This extra security for the private lenders that work with FHA loans allows them to offer some advantageous features for first time home buyers with low credit scores. In particular, this program is known for lower interest rates and a low down payment. Applicants who have a credit score of 580 or higher can qualify for a down payment as low as 3.5 percent. This represents a substantial savings over the twenty percent that is usually required for conventional mortgages. You might still qualify for an FHA loan if you have a lower credit score between 500 and 579. The lender will require a ten percent down payment as a compensating factor for this greater risk. Are you looking for a mortgage designed specifically for a first time home buyer with bad credit and no down payment? This scenario isn’t often found in today’s housing market, but VA loans could be the answer to your problem. VA loans have no minimum credit score required, and they are well-known for their no down payment options. Much like the FHA mortgages, the VA loans are partially backed by the Department of Veterans Affairs. You must be a veteran or an active duty service member in order to qualify for this program. Applicants must meet stringent guidelines regarding their service commitments in order to qualify for their prerequisite Certificate of Eligibility. One of the best options for first time home buyer programs with bad credit is the Good Neighbor Next Door sponsored by HUD. The homes available through this program are all foreclosures that previously had an FHA loan. As a result, they are now sold for extremely low rates that are only improved by this program. The Good Neighbor Next Door program allows you to purchase one of these eligible properties from the HUD Homestore at half price. The catch for a first time buyer with bad credit is that you must fall into one of the professions that qualify. This includes law enforcement officers, teachers, emergency medical technicians, and firefighters. You must also select a home that is located in the service district where you work. This is a great choice for first time buyers who want to learn how to buy a house with bad credit. The steep discount offered on these properties makes it possible to lower your debt to income ratio and generate a down payment that represents a greater percentage of the home’s value. These can sometimes be combined with the FHA loan for financing that gives you the maximum benefits. A conforming loan is similar to a conventional mortgage that is for a property under $453,100. These loans comply with the standards set out by Fannie Mae and Freddie Mac, the government agencies that often help private lenders to fund mortgages. The benefits of these loans are that they typically have lower interest rates and lower down payments compared to their non-conforming counterparts. You might face more stringent criteria with these conforming loans compared to FHA loans and VA loans. However, they could be a great option if you can’t find a property that qualifies for either of the other two mortgages. You are likely to have a higher down payment with conforming loans than you will on the other two programs. A first time home buyer with bad credit who is open to purchasing a foreclosed property may want to look into the Fannie Mae HomeReady program. This is an extremely beneficial program that allows you to purchase homes at a reduced rate while still securing financing through the FHA mortgage program. By purchasing a less expensive home, you can lower your projected debt to income ratio and shrink the size of your required down payment. There may be some maximum income limits to purchase one of these HomeReady properties, so you will need to check on the specific details for your area. This could limit your options when it comes to purchasing a foreclosed home through this program. Keep in mind that a foreclosed home may need some repairs made before it is considered move-in ready. This could be a great opportunity to purchase a fixer-upper. Do you want to purchase a home with a low down payment in a high-cost area or in an underserved community? Freddie Mac’s Home Possible program offers low- to moderate-income families an opportunity to do just that. The down payments required for this program range from three to five percent with flexibility on where the money comes from. Your down payment could be a gift, a loan from family members, or from some type of secondary financing. There are no credit scores necessary to obtain one of these mortgages. This is great for a first time home buyer who has no credit at all. If you do have a credit score, many borrowers want to see it come in around the mid-600 mark as a standard benchmark for manual underwriting on a Home Possible property. If you want to purchase a home in a rural area, the USDA home loan program could be for you. The United States Department of Agriculture backs these loans in order to make them more accessible to prospective home buyers. You might even be able to purchase one of these properties with a very low down payment if your lender requires a down payment at all. Keep in mind that these might not be available to you until you do some work on your credit score. An automated approval typically requires a benchmark credit score of 640, but lower credit scores might be accepted with manual underwriting. This grants you a far more subjective approval because an individual will actually be reviewing your entire application. You may want to explore this option if you had extenuating circumstances that led to your poor credit. What Assistance Programs Are Available? You can always make use of one of several assistance programs designed to help first time home buyers with bad credit. They might be able to make homeownership more accessible to you or offer advice on the next steps you need to take to make your dream into a reality. Operation HOPE works with low-income families in underserved areas to make homeownership a more realistic goal. While they do offer some counseling and education on financial health, one of the primary benefits of the organization is their down payment assistance programs. They have a team of real estate professionals to help you find a home and counselors who can help you to find the right loan for your needs. The National Council of State Housing Agencies coordinates each state’s Housing Finance Agency (HFAs). These organizations are designed to help create affordable housing for the residents of their states through housing and community development programs. They host conferences and provide educational resources to these HFAs through their National Conference of State Housing Boards to help them better inform potential homeowners of opportunities available to them. You can always receive free or low-cost financial counseling through a registered HUD counseling agency. The Department of Housing and Urban Development has compiled a list of professionals who can help you to find the resources you need in your local area. They might be able to refer you to down payment assistance organizations or offer advice on how to improve your credit score and your chances of homeownership. If you’re facing foreclosure on your current home, this is also an excellent resource to help you stay in your home for longer. What Can You Expect When You Have a Low Credit Score? Individuals with a lower credit score should expect a few major differences from conventional mortgage programs. Perhaps the biggest difference from their peers that have better credit is the higher interest rates. Your lender is going to capitalize on the risk they take with your mortgage through higher interest rates. These percentage points may not seem significant at the moment, but interest rates can cost you thousands of dollars over the course of your loan. You will also typically be expected to contribute a higher down payment on your next purchase. A first time home buyer with bad credit might need to place a substantially higher down payment on their house than others who have had mortgages previously or who have a more polished credit score. Much like the interest rate, a lender can use your down payment to give themselves a greater degree of security when it comes to issuing your loan. Speak with a lender about how First Time Home Buyer Programs can work for you by clicking here! I’ve declared bankruptcy in the past. Do I qualify for any first time buyer programs? Yes, you may still qualify for first time buyer programs once you meet the minimum waiting period following your bankruptcy. The waiting period will vary based on the specific financing program you select, but it could be over in as few as two years. How do I buy a house with bad credit and no money down? You will have to find a financing option that does not require a down payment, such as the VA loan program or the USDA mortgage option. There may be additional requirements you need to meet in order to qualify for these programs. While first time home buyers with bad credit can find financing options, it is always better to wait until your credit scores improve. A higher credit score can save you thousands of dollars on the initial cost of homeownership, as well as on interest rates over the duration of your loan. Individuals with better credit scores tend to have lower interest rates and down payments compared to other borrowers. If at all possible, try to move your credit score into the average range before you apply for a new mortgage. Waiting a few months or years could pay huge dividends for you in the long run.